How do I login and access my policy details and documents? You can select to receive your policy documents by mail, collect them in person from your branch or you can opt to have them saved in an online portal to print whenever you need them. If you choose to have your documents saved in an online portal, your branch will send login details by email. If you have any trouble logging in or have lost your login details, please get in touch with your branch who will be able to help. Sometimes also known as no claims bonus, a no claims discount provides a reduction in the premium based on the number of years that you have not claimed on the policy. The percentage discount increases each year (and can vary between insurers) and the maximum allowable is normally achieved at around 5 or 6 years, although some insurers do go beyond. You will need to prove your no claims discount if you are taking up cover with a new insurer. This normally takes the form of a renewal notice from your current policy but can be issued separately when required, for example, if a policy is cancelled mid-term. Where you are a new client to A-Plan if you can provide us with your previous policy details (and the policy is not live), as part of the service we provide to our clients, we will endeavour to obtain this for you saving you the time and trouble. How do I update or make changes to my policy? You have the right to cancel an insurance policy from us at any time. If you wish to cancel you should write to the branch that arranged your policy to advise them. They will talk you through the most economical way to do this and where possible to do so please return your Certificate of Motor Insurance. Providing there is no claim outstanding or paid in the current period of insurance, we will return the unused proportion of your premium, less any applicable charges. If your policy is paid on premium finance we will refund you any remaining amount once the outstanding balance has been settled to them. If there is a shortfall, we will contact you to arrange collection of the outstanding balance. Cancellation of the premium finance instalment plan does not cancel the insurance policy, which needs to be done separately. Cooling off period If within 14 days of receipt of your policy documentation you wish to cancel the policy, please let us know, returning the Certificate of Insurance if possible. Providing a claim has not been made, we will refund the premium paid, less any applicable charges. We are here to help you with your claim and to act on your behalf. We will guide you through what can often be a difficult and stressful time and help make certain the insurer provides the responsive service you are entitled to expect. If you think you may need to claim, please let us know immediately. We will monitor the progress of your claim, and provide guidance to you where appropriate. Should there be any significant changes to your claim, we will notify you as soon as possible. If I claim on my car insurance under my windscreen cover, will my No Claims Discount be affected? As long as this claim is only for glass and there is no other damage, your NCD will not be affected. If you need to make a claim on your windscreen cover, please call 0800 197 5197. Depending on your age and details, many (but not all) of our car policies will cover you to drive any other car (which must be insured separately, not hired to you or belonging to yourself) on a Third-Party Only basis. Please be certain to check your policy documents to see if you have cover in place before driving another vehicle or, if easier to do so, please speak to your local branch for advice. The ‘driving other cars’ extension does not apply to other vehicle types, such as vans, motorcycles or minibuses. However, if you regularly use another person’s car it may be worth getting added to their policy as a named driver. How do I send you documents, including my NCD? In addition to social domestic and pleasure if you are using your vehicle for anything other than driving to a single place of work, you will almost certainly require business use. If this is the case or you are not sure that you currently have this cover, please contact your branch for advice. We will check and where needed make the change to your policy. If you do not have business use on your policy and have an accident whilst using for the vehicle for business you may not be covered. Note: if you are carrying passengers for hire or reward – something which is becoming more common with the rise of Uber and other ride-sharing apps – you’ll almost certainly need taxi insurance, which is different again. What is the difference between comprehensive, third-party fire and theft and third-party insurance? There are three levels of car insurance cover; Third party Third party, fire and theft Comprehensive Third party – the minimum legal requirement. Third party insurance covers other people (third parties), but not you or your vehicle. If you injure someone or damage their property, they are covered but if your own car is damaged or stolen, vandalised or goes up in flames then you have to pay for the loss yourself. Glass cover is also not included. Third party, fire and theft – on top of the basics of third party cover, your vehicle will also be covered against fire or theft damage. Vandalism and Glass cover are not included. Comprehensive – the highest level of cover. On top of the basics of third party, and third party fire and theft covers, your vehicle will also be covered if you have an accident, even if the accident was your fault. In addition, glass cover is normally included. Can I temporarily add a driver to my insurance? When arranging your policy with us, you should list all drivers who have access to your vehicle, including your spouse, relatives and friends. Just because a friend has car insurance of their own, this doesn’t necessarily mean that they can drive your car. You need to check your policy details and Certificate of Motor insurance. If you want to add another driver to your car insurance permanently or temporarily, all you need to do is give us the details and in most cases we can add them to your existing policy. A ‘Foreign use’ extension provides the same level of cover you have at home (i.e. comprehensive, their party fire and theft or just third party) when you drive your car abroad. You will need to check the details of your policy to see if you have this cover. However, even if you don’t, it may be possible to add this feature, so please contact us if you plan on driving abroad. An excess is the amount of the claim which you have to pay. For example, if your claim is for £500 and you have a £50 excess, your insurers will pay a maximum of £450 in settlement. The excess is normally paid to the garage upon completion of vehicle repairs; or in the event of the vehicle being damaged beyond economic repair, deducted from the settlement payment. What if I’m struggling to get car insurance? If you have a number of points on your licence or you have made many claims you may find it harder to get cover. The circumstances leading up to a serious motoring conviction can vary considerably, but the outcome still looks the same on your licence. The net result can be a driving record that increases your insurance costs for many years, often with unfavourable terms and conditions being applied and it can be a real challenge to find decent cover at an acceptable price. We have specialist quote facilities and can quite often help you find a better deal. Please get in touch with your branch for advice. I drive a company car. How can I best get insurance? Comparison sites often assume you own the car you’re trying to insure. However, many people drive a car owned by their employer, but have to insure and tax it themselves. That’s where we can help. 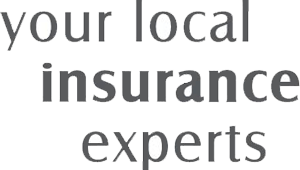 A-Plan will listen to your needs and search a panel of insurers to find you the best deal. A qualified advisor will go through all of your individual requirements to ensure you get the right policy at a competitive price. I have more than one car that I want to get insured. Can I get a discount? ‘Multicar’ Insurance can provide a cost-effective method to insuring more than one vehicle. Our dedicated team of specialists can help you explore the best approach of insuring your vehicles and establish if multicar insurance is more cost effective for you. Your personal requirements will be reviewed to ensure that you get the right policy at a competitive price. Can I let a learner driver use my car to practice? Learner drivers are often added to parents’ or friends’ car insurance as an additional driver which can put up the cost, and put no claims bonus at risk. At A-Plan, our Learner Driver Insurance ensures that any claim is made against the learner driver’s policy, not your own motor insurance. What’s more, the excess on our Learner Driver cover is generally much lower than on standard car insurance for learner drivers. Once your learner has passed their test, we can also help with insuring their own vehicles.